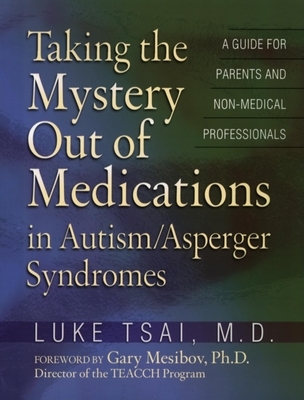 Luke Tsai, MD is a scholar, researcher, teacher and, most importantly, a father of a young man with autism. He received his medical degree from Taipei Medical University in Taiwan and completed his residency training in general psychiatry and fellowship in child and adolescent psychiatry at the University of Iowa Hospitals. Dr. Tsai is currently a professor of psychiatry and pediatrics at the University of Michigan Medical School. He also is founder and director of developmental disorders at the University of Michigan Medical Center. In addition, Dr. Tsai is consultant editor of the Journal of Autism and Developmental Disorders, is on the editorial board of Focus on Autistic Behavior, and on the Autism Society of America's Panel of Professional Advisors. Dr. Tsai has received awards and honors for his work with individuals with neuropsychiatric disorders. His publications include more than 80 articles and 40 books or chapters. He continues to be a sought-after speaker nationally and internationally. “Not only does this book reflect great clinical skills, but it also reflects the caring attitude Luke has always brought to his work. One feels throughout the book the deep concern and respect that this caring physician has for his clients. The human side o f medicine is part of every problem and solution, and parents and professionals in the field will especially appreciate this emphasis."